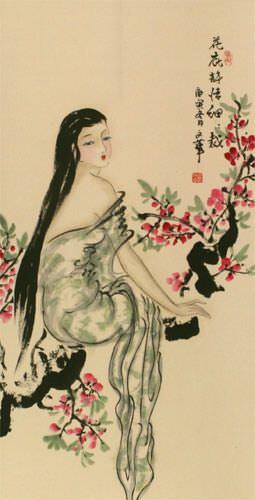 This depicts a woman alighting the flowering branch of a tree. 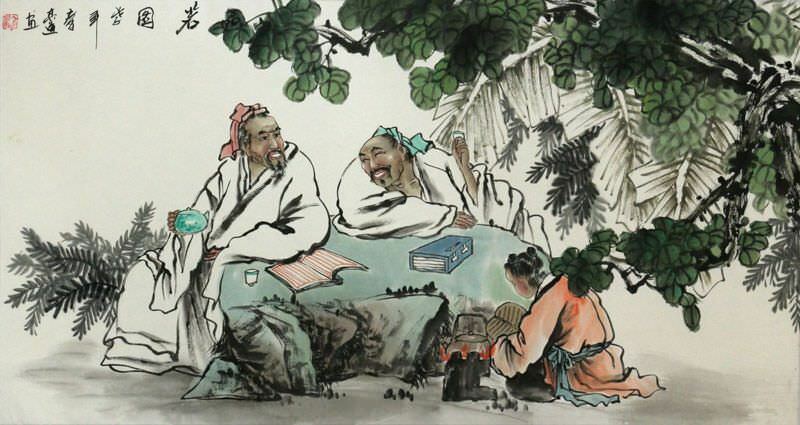 The title roughly translates as, "Beauty under the flowers, like poetry." 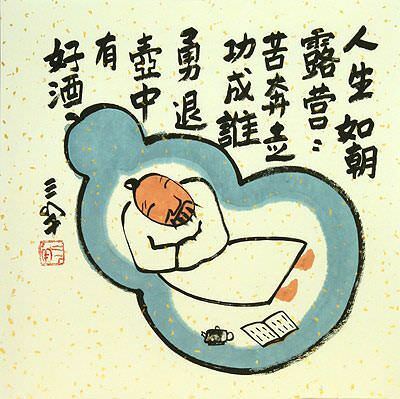 The rest of the Chinese characters are 庚寅冬月 文华 which indicate when this was painted (the winter of 2010) and the artist's signature (Wen Hua).